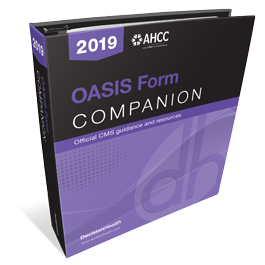 Become compliant with OASIS guidance using the OASIS Form Companion, 2019. Ensure you answer questions on the change to OASIS assessment correctly. Keep all your OASIS documents in one easy-to-reference resource that allows you to easily search for the OASIS guidance you use most often. Become compliant with OASIS guidance using the OASIS Form Companion, 2019. This must-have resource emphasizes item guidance to ensure you answer questions on the OASIS-D assessment correctly. 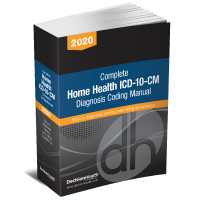 It’s also an ideal resource for HCS-O candidates to use to study for the HCS-O certification/recertification examinations. Keep all your OASIS documents in one easy-to-reference resource that allows you to easily search for the OASIS guidance you use most often. 30-Day Money-Back Guarantee: If the OASIS Form Companion, 2019 does not provide you with the information you need to adhere to OASIS-D rules and regulations return your copy within 30 days and you will receive a full refund.